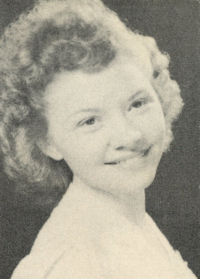 Obituary – Watson, Betty Jean (Moore) « Perry High School Alumni Association, Inc.
Red Hots ’46-’49; D. E. Club ’47-’49. 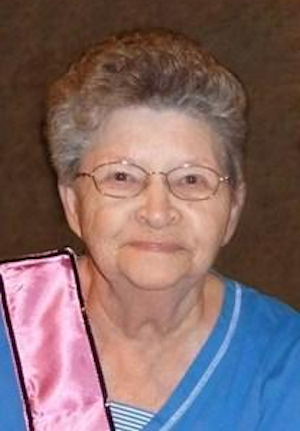 Betty Jean Watson, 82, of Arlington, Texas, passed away August 30, 2013. She was born in Perry, Oklahoma on May 1, 1931. Betty had a passion for her family and lifting up those around her. She was survived by her daughters Cindy Parchman, Kenna Arwine, and KaAnn Ellsworth, 6 grandchildren, 4 great grandchildren (with another one on the way), and by her brother Tom Moore. Funeral arrangements will be held at 3:00 pm, September 4, 2013 at Moore Funeral Home at 1219 N. Davis Drive in Arlington. The visitation will be September 3 from 6:00 to 8:00 pm at the same location.